Do You Have the Most Notable (Audio)Books of 2010? In their Sunday Book Review, The New York Times lists 100 Notable Books of 2010. Separated into two groups (Fiction & Poetry and Nonfiction), the concise list highlights the crème de la crème of this year’s publications, providing a valuable guide for library visiting and literary gift giving. Some highlights from the fiction portion of this year’s list include Freedom, “a masterly portrait of a nuclear family in turmoil, with an intricately ordered narrative and a majestic sweep;” The Girl Who Kicked the Hornet’s Nest, “the third installment of [Stieg Larsson’s] pulse-racing trilogy featuring Mikael Blomkvist and Lisbeth Salander;” and Room, the narrative of a five-year-old boy who knows no other existence than living with his trapped mother in an eleven-by-eleven room. Biographies are prominent throughout the nonfiction portion of the list. Some noteworthy examples include Cleopatra, a stunning portrait of “the Macedonian-Egyptian queen in all her ambition, audacity and formidable intelligence;” Life, the autobiography of Rolling Stones’ guitarist Keith Richards; and Washington, a chronicling of the first American president’s many adventures. These 100 notable books are sure to be in great demand, and to help you prepare, we’ve organized an audiobook collection of this year’s gems. To find this collection, click browse in the toolbar on the Midwest Tape website. 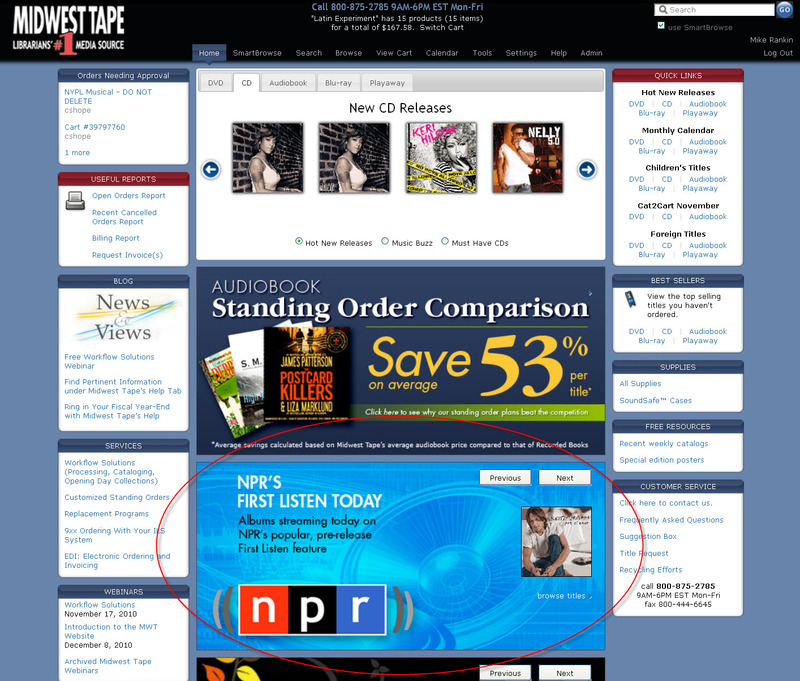 Select Audiobook and browse by collection and then scroll through the collections to find NY Times 2010 Notables. You can also access the collection by following The New York Times 100 Notable Books of 2010 panel on our homepage. Fox’s musical comedy sensation Glee is only in its second season but it is already a driving force in television. As a newly minted pop culture phenomenon, there is a high demand for all things Glee. Glee follows high school teacher Will Schuester as he tries to resurrect McKinley High School’s less than favorable glee club, New Directions. Armed with funny one-liners and high school melodrama, the show delivers a story of hope as the group—comprised of socially and ethnically diverse students—prepares for and competes in choir competitions in the hopes of making it to Nationals. While the major draw of the show has been its innovative catalog of Top 40, country, R&B, hip-hop, and Broadway tunes coupled with intricate dance numbers that smoothly fit into the context of the show, the breakthrough hit is more than just singing and dancing. Interspersed between the theatrical routines, Glee slyly tackles tough topics like teen pregnancy, bullying, sexuality, and religion. Glee’s directors bypassed traditional casting calls, instead culling cast members straight from Broadway and saving guest spots from comedians, pop sensations, and Broadway stars for one-time appearances. The show has also dedicated entire episodes to singing inspirations like Britney Spears, Lady Gaga, Madonna, and the Rocky Horror Picture Show among others. Despite early critical skepticism, (a show featuring singing and dancing was unheard of during a time when hard-hitting dramas and established comedies dominated primetime television) Glee quickly proved itself a success. Midwest Tape has created a collection of CDs featuring music from the show. We update the collection every Wednesday morning with CDs from original artists whose songs were featured on the previous night’s episode. To find the collection Glee – The Music & More, click browse in the toolbar on the Midwest Tape website. Select CD and browse by collection and then scroll through the collections to find Glee – The Music & More. A feature panel on the Midwest Tape website will also redirect you to the collection. Click Next to flip through the panels until you find the one featured below. 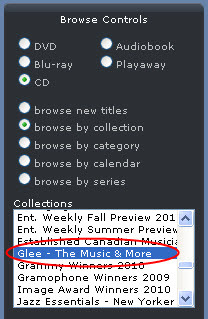 Has your library experienced a large request for Glee related materials? What other pop culture materials are in high-demand at your library? Two months ago, we told you about three major hip-hop titles that had been temporarily shelved for various reasons. Two of those titles have now found their way back onto the December release schedule. 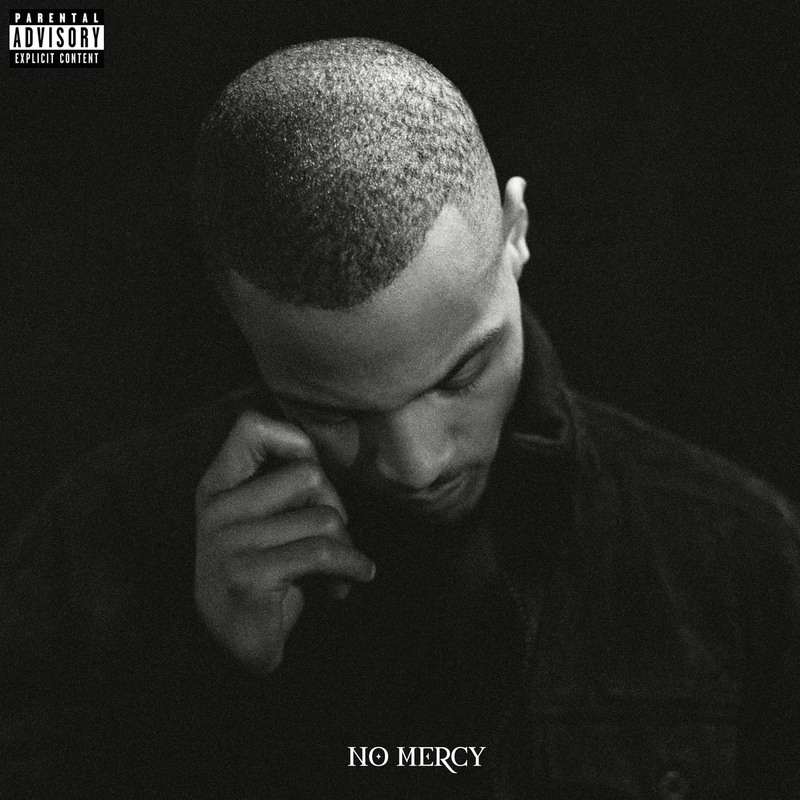 Troubled rapper T.I.’s new album No Mercy is now set for a December 7th street date. Formerly titled King Uncaged, No Mercy includes the single "Get Back Up", which features a guest spot from R&B singer Chris Brown. 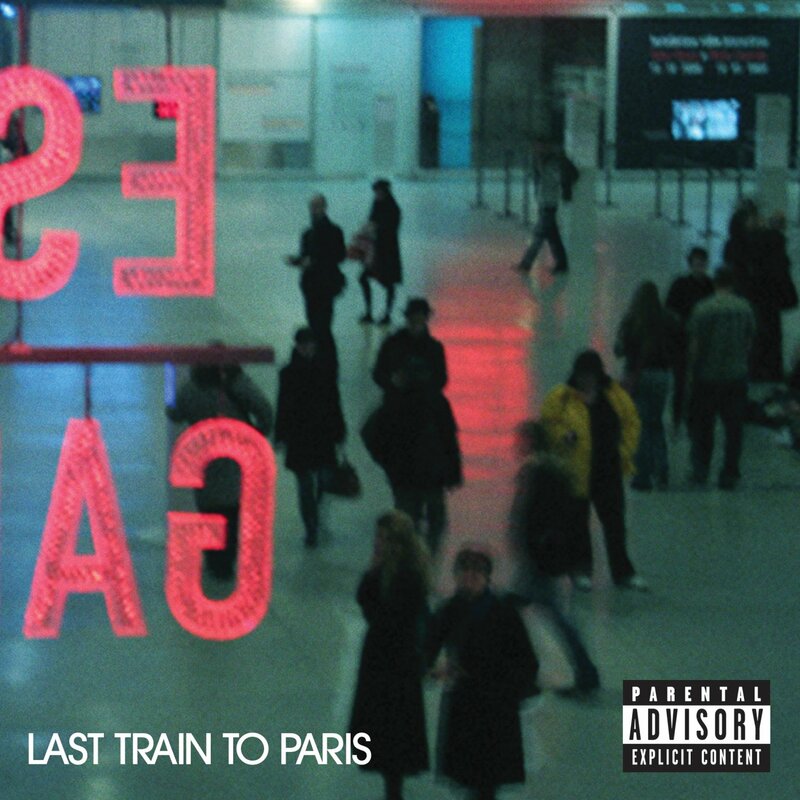 The album is poised to be one of the top hip-hop releases of 2010. 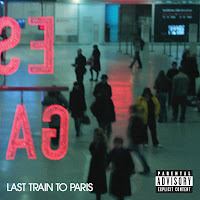 After lighting up the stage at the American Music Awards, Diddy’s side project Diddy-Dirty Money will release Last Train to Paris, their debut album, on December 14th. Once set to release back in June, Diddy was recently quoted as saying that he was aiming for a December street date—and we’re glad he was able to come through. As proven previously, the titles’ street dates are subject to change. Because all orders on these titles were canceled in September, we want to remind libraries to make sure they reorder today! Labels: CD, Diddy-Dirty Money, Last Train to Paris, No Mercy, T.I. After our highly attended Industry News webinar, many attendees expressed a great interest on what information we could share on eBooks. The amount of blog posts and articles we found on the topic was staggering. And it isn’t just the blogosphere blowing up with eBook talk. The newfound popularity of such digital reading devices as the Kindle, Nook, and iPad is influencing the way people obtain reading materials. More frequently, readers are choosing to download eBooks from virtual sources. And many major retailers—like Target, Best Buy, and Wal-Mart—are now offering devices to consumers. With eBooks becoming increasingly prevelant, it makes perfect sense that libraries are making every effort to fulfill the growing patron demand. Sometimes referred to as electronic books or digital books, eBooks are simply published works in electronic form. To access eBooks, book lovers must download content onto a device, commonly called an eReader. There are dozens of eReaders to choose from, ranging in price from $99 to over $500. To limit eBook piracy, publishers use DRM software. DRM preserves copyright control of the digital version of books and restricts the ability to share eBooks to others. Additionally, DRM makes it difficult to put an eBook purchased from one company onto another company’s eReader. This means that Amazon Kindles or Kindle applications can only access eBooks from Amazon. However, as we mentioned in our previous blog story, Libraries, eBooks, and the DRM Debate, this makes it difficult for libraries to lend eBooks to their patrons because not everyone is using the same eReader with the same compatibilities. If your library uses Overdrive to obtain digital material, use the graphic below to determine which eReaders are compatible with your library’s eBooks. With holiday promotions and deals right around the corner, researchers expect sales for eReaders and eBooks to boom in the next few months. In a recent New York Times article, Peter Hildick-Smith, president of the Codex Group, a book market research company, declared that “this is the tipping-point season for e-readers.”6 Currently, there are about 9 million eReaders in circulation in the United States. However, Forrester Research expects that number to grow to at least 10.3 million by the end of the year.6 In turn, eBook sales are expected to increase as well. As eReader companies try to stay on top of their competition, there will be constant technology upgrades to the devices. For example, just recently, Amazon announced that they will allow Kindle eBooks to be loaned between Kindle devices and Kindle application users. Users can lend their eBooks once for a 14-day period. Publishers will determine which titles will be capable of doing this, as not all eBooks will be enabled for lending. This is nothing new, though, as several other devices already have this capability. Additionally, Barnes & Noble just introduced their new NOOKcolor. As the name implies, the NOOKcolor displays in color as opposed to black and white and has internet browsing over Wi-Fi. As other eReaders move in this direction, we may see enhanced eBooks debut. This variation of an eBook would not only contain the work in digital form, but also author interviews, videos, reading guides, internet links, and social networking applications. These enhancements, however, may drive up the low price of eBooks compromising one of their key selling points—cost. Despite the increasing popularity of eBooks, their success in libraries may be hindered by inconsistencies between file formats and eReaders. Libraries will continually have to research in order to stay up-to-date with the latest technology and compatibility advances. 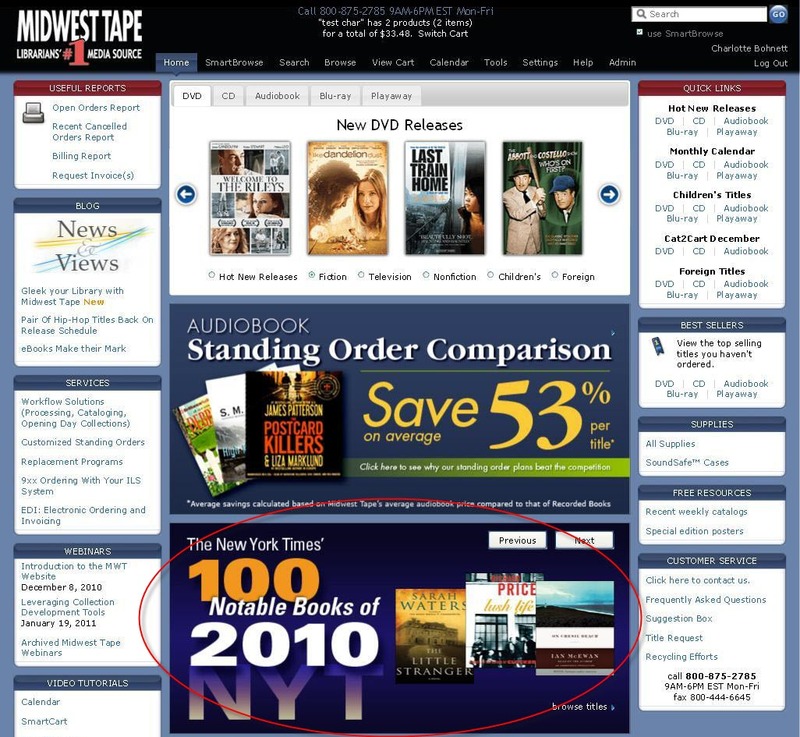 Frequent Midwest Tape’s News & Views as we will continue to track the latest eBook news as it pertains to libraries. Does your library lend eBooks? What hurdles have you encountered with the format? Do you think eBooks are here to stay? Or do you think eBooks will fade away as quickly as they emerged? Harry Potter Returns! Is Your Collection Ready? To quote TIME.com, “we've been through a lot, we Potterites.” J.K. Rowling’s first book in the legendary septology released thirteen years ago, and since then, the world has experienced Potter-mania with nine years of cinematic glory, stunning film scores and soundtracks, encyclopedias and wikis, slews of fan clubs, thousands of blogs and websites (including the hilarious AverageWizard.com), and video games. The series’ iconic sport Quidditch has also become a reality. According to TheStarPress.com, Quidditch has taken off across college campuses throughout the U.S. While athletes can’t fly like they do in the books and films, they still “must ride their brooms during the game, so to speak, for their plays to be counted.” Quidditch has started to extend beyond intramural college sports, taking off worldwide, especially in the UK and Canada. There’s even an International Quidditch Association who just hosted their fourth Quidditch World Cup. In addition to real-life Quidditch matches, Wizard Rock, a rock music genre characterized by bands’ humorous performances and songs about the Harry Potter universe, blossomed out of the series’ fandom. According to a TIME.com article about the original Wizard Rock band, Harry and the Potters, “Wizard rockers dress like Hogwarts students. They play at conventions and clubs and wizard-rock festivals.” According to Wizrocklopedia.com, as of 2010, there are over 750 Wizard Rock bands worldwide. According to Box Office Mojo, when not adjusted for inflation, Harry Potter is the highest grossing film series of all time, raking in over $5.4 billion worldwide, and the franchise’s first six films are among the 30 highest earning movies worldwide. With each film and book, the Potter mania has intensified, igniting the development of supplemental materials, like interactive DVD games (The Harry Potter DVD Game), tribute albums (Harry Potter Piano Tribute), biographical and explorative DVD programs (Discovering the Real World of Harry Potter), and guides and analyses on audiobook (A Parent's Guide to Harry Potter). With the first part of the final film—Harry Potter and the Deathly Hallows—hitting theaters today, we want to make sure your library is prepared for the surge in Potter mania. To rev up your library’s selection of Harry Potter films, audiobooks, scores, and soundtracks, visit MidwestTapes.com and select the Harry Potter Collection panel to shop all our Harry Potter franchise titles. What is your library doing to prepare for Harry Potter and the Deathly Hallows, Part I? What’s your take on Potter mania? For some time now, we have heard from our customers about how much weight National Public Radio holds with regard to recommending new music. 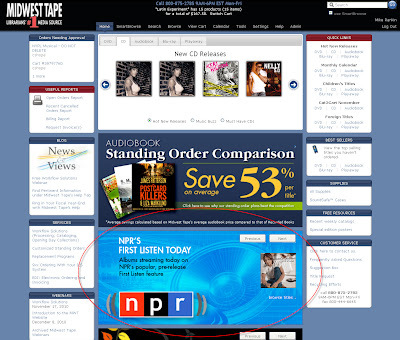 Now Midwest Tape is making NPR’s recommendations easier to find on our website. Updated daily, our new NPR’s First Listen Today collection allows users to browse a collection of albums that are streaming that day on the NPR website’s First Listen feature. To access our collection, simply click its feature panel located on our homepage. With a variety of programs aimed at fans of various genres, NPR has long had a reputation for being on the cutting edge of new music. The First Listen feature gives music fans the unique opportunity to listen to albums in their entirety before they are officially released. Recently featured albums include Elton John and Leon Russell’s collaboration The Union, Bob Dylan’s unreleased-material disc The Witmark Demos 1962-1964, and Bruce Springsteen’s The Promise. Give First Listen a whirl and then visit midwesttapes.com to shop all the albums your patrons will soon—or may already—be demanding. Also, make sure you let us know what you think of our First Listen collection. Post your feedback here as comments or drop our music coordinator Mike Rankin a line at mrankin@midwesttapes.com. Is there a collection you’d love to see on midwesttapes.com? Post your suggestions as comments. Is your staff juggling multiple responsibilities? Are you looking to get your audiovisual material on the shelves more rapidly? Join Inside Sales Representative Elaine Schlagheck on November 17th at 2:00 p.m. EST and learn how Midwest Tape can help streamline these processes. During this 60-minute session, Elaine will introduce Midwest Tape’s Workflow Solutions services, consisting of Processing, Cataloging, and Opening Day Collections, and detail how the Workflow Solutions team can help and guide your staff toward the most cost-effective and efficient way to meet growing patron demand. What webinars have you found most beneficial? What topic would you like Midwest Tape to cover next? Midwest Tape has organized a multitude of useful documents, whitepapers, guides, and online webinars under the Help tab in the toolbar on the Midwest Tape website. Here you will find information about Midwest Tape and our services; guides and webinars on effectively navigating our website and searching our database; and informative documents on how Midwest Tape can optimize the functions of your Integrated Library System. Are you unsure of what a symbol or term on our website means? 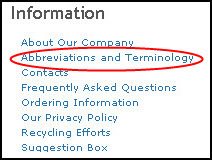 Reference our Abbreviations and Terminology guide in the Information section. Have you ever wanted to attribute a face to the voice of your Midwest Tape representative? 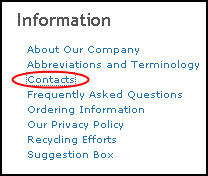 Check out the Contacts page, also in the Information section. Do you want to cut down the time it takes you to search for titles? 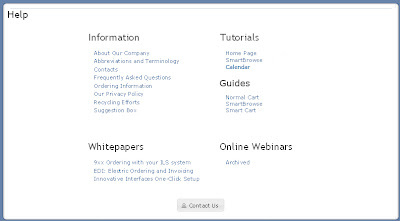 Our Smartbrowse Guide and SmartBrowse Tutorial will teach you the ins-and-outs of performing an effective search on our website. Did you miss one of our webinars? View a list of archived webinars on topics like acquisition processes, customized website features, and workflow solutions under the Online Webinars section. Are there any additional guides or tutorials you would find helpful? Share your ideas here as comments. Winter is quickly approaching, and while that usually means festive parties and holiday cheer, for many libraries it also means the end of your fiscal year. Midwest Tape understands your needs, and it is our goal to make the year-end process as manageable as possible. We can provide product in hand and invoicing by a specified date. We can offer tools and information to assist you in tracking and reconciling your budgets. Our collection development team can aid you in fulfilling remaining budgets. Let’s enjoy this holiday season together. Let Midwest Tape help you wrap up your year-end. Call ahead and speak to one of our customer service representatives. It is important to give your representative time to handle your inquiries and requests. Contact us today at 800.875.2785. So you’ve gone through our monthly Buyer’s Guides and circled all the titles that pique your interest? Now, you get on midwesttapes.com, eager to order those circled titles plus some hot new releases. But how do you so quickly and easily? 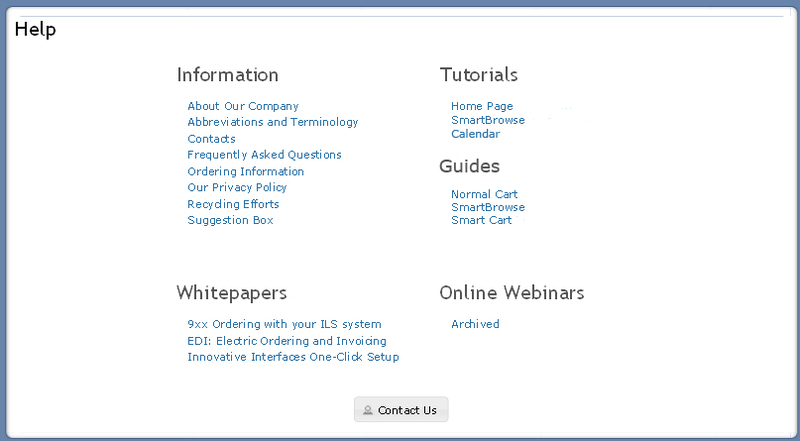 Check out Quick Links, one of our website’s most popular navigation tools. Open the Midwest Tape homepage. Quick Links are located in the upper right-hand corner. Hot New Releases: Click a format to view the latest, most buzzworthy titles added to our website in the Browse function. Monthly Calendar: Select your format of choice to view each month’s new releases in our Calendar. Children’s Titles: Choose a format to view top selling titles specific to this collection in SmartBrowse. 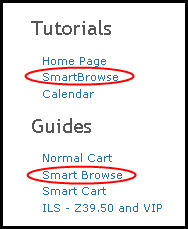 Cat2Cart: Click a format to view every title featured in this month’s Buyer’s Guides in SmartBrowse. International Titles: Choose a format to view languages specific to this collection; drill down further by selecting a language; and then view those titles in SmartBrowse. Simply click “Home” or the Midwest Tape logo to return to our site’s homepage and the Quick Links feature. Does your library use Quick Links? How does it aid the efficiency and ease of your shopping experience?